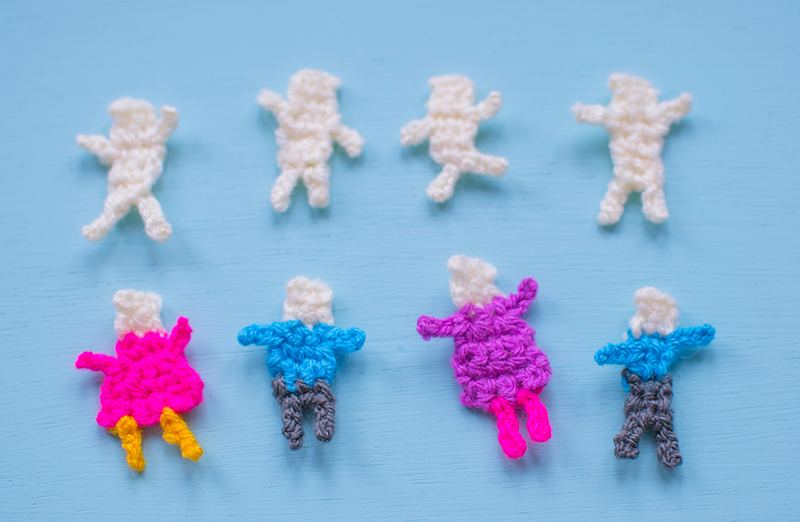 Did anyone have worry dolls when they were growing up? I was such an anxious child and was always worrying about something, by the time I went to sleep the list would be as long as my arm: fires, being burgled, people dying, it would all be running through my mind and stop me from being able to sleep. 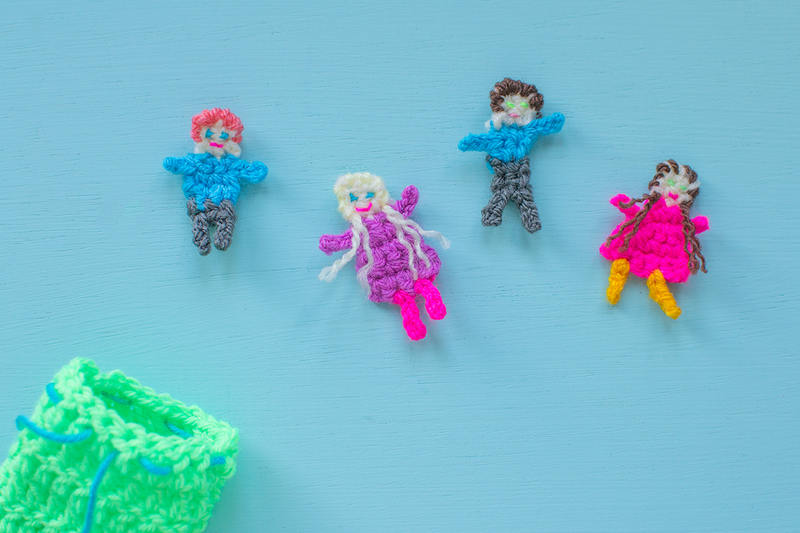 I can still remember my mum giving me a present that she’d bought for me whilst on holiday, it was a little box of worry dolls and she explained to me how they worked and the idea came of great relief to me. Being able to tell something of all my worries before going to sleep did mean I was able to fall asleep a bit more easily. 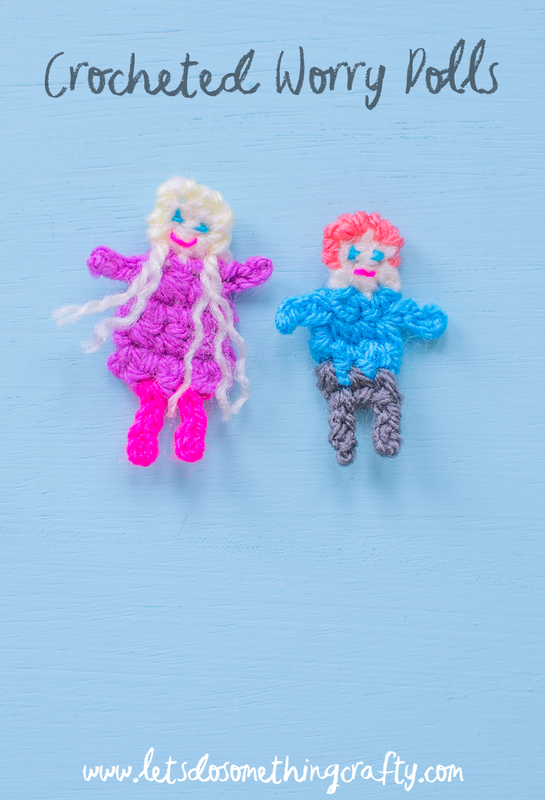 Fast forward 25 years and I now have a little girl myself who is prone to worrying about things so I thought it would be nice to make her some worry dolls, initially I was going to make them out of matchsticks but in the end I decided to crochet them. 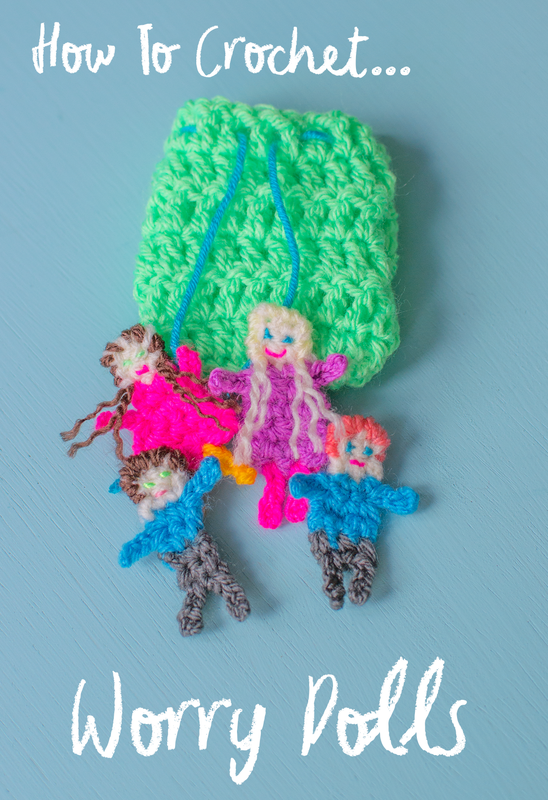 If you haven’t heard of worry dolls before then they are very small little dolls that originate from Guatemala and Mexico, they are bright and colourful and come in either a box or a bag. At night children can whisper one of their worries to each of the dolls before putting them under their pillow and falling asleep. If you would like to read more about them then you can do so here. – Stylecraft DK in cream, purple, bright pink, dark grey, blue and bright green for the bag. Obviously you can use any colors you like though! 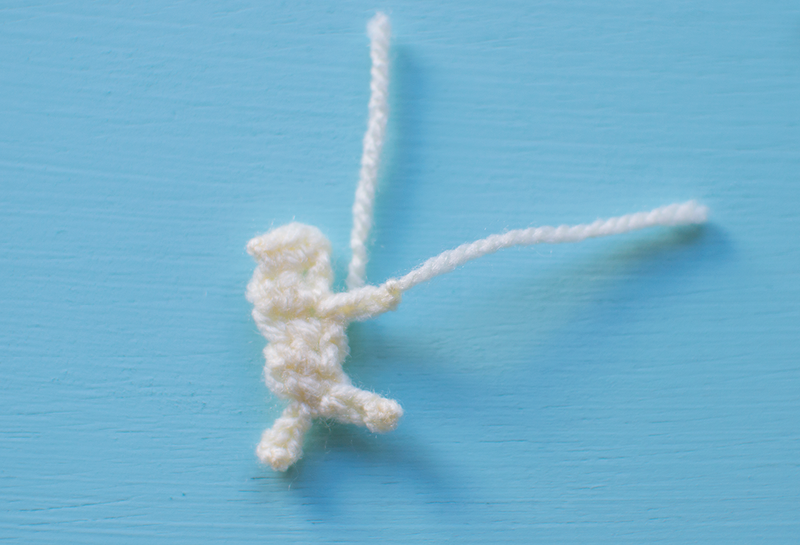 I made a slip stitch then chained 3. 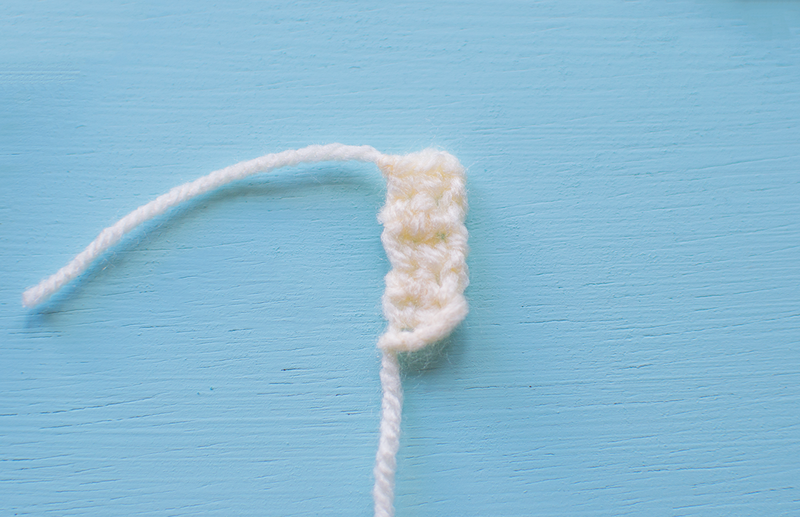 I worked a double crochet stitch (UK terms) into the 2nd stitch from the end then worked another in the last chain space. I did two rows for the head and three for the body. 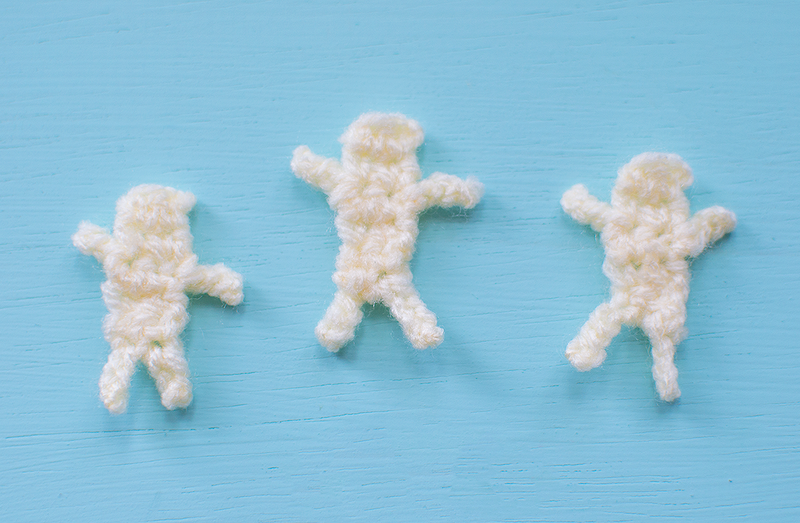 NOTE: Read down to the bottom of the page to see the two variations, if you are crocheting their clothes in different colours then you need to change after two rows. Then I joined the yarn on to the bottom left stitch and chained 4 before repeating on the other side. This gives you the legs. I used the needle to pull the tail of yarn up through the back side of the leg, this makes them a bit shorted and firmer as you will see in the photo below. 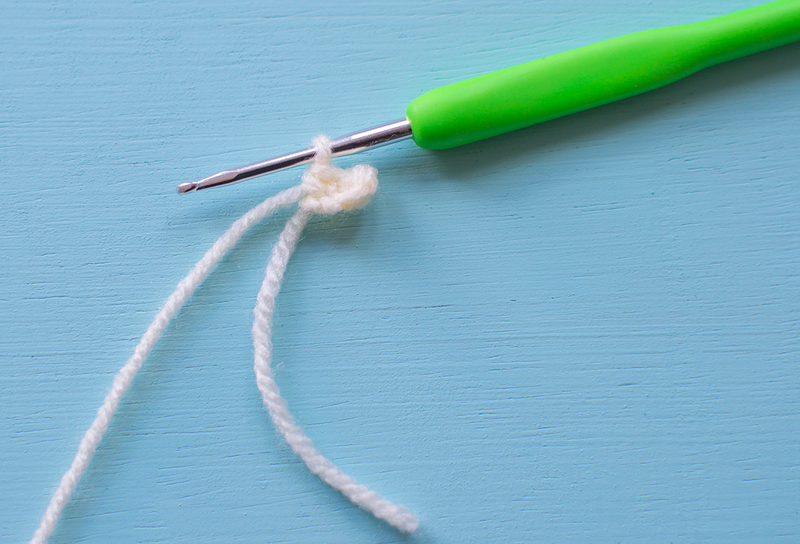 I then attached the yarn to the 3rd stitch down from the top and chained 3 before repeating on the other side. This gives you the arms. This gives you the basic dolls. Each one will have arms and legs pointing in a slightly different direction but I think that’s nice as it makes each one unique. 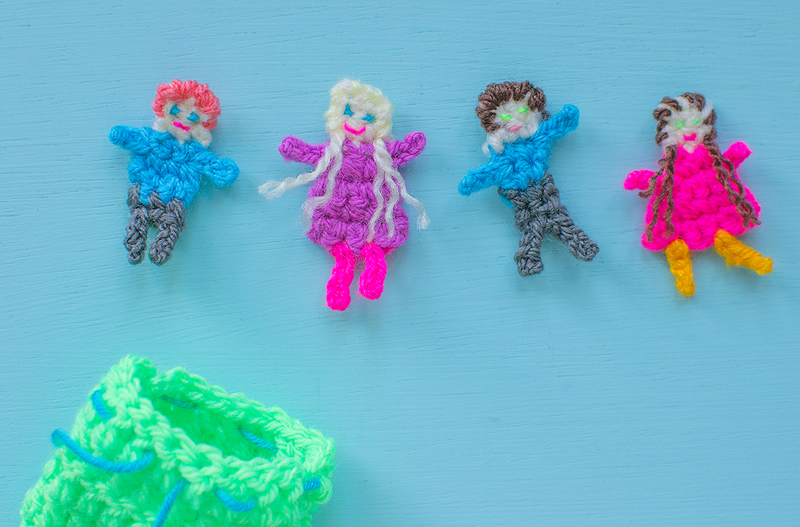 You can either give them faces, hair and sew on little bits of material for the clothes or you can experiment with the colours whilst crocheting. As you can see for my final dolls I actually made their clothes by switching the colours of yarn so for the boys I did the two rows in cream for the head then switched and did either two or three for the jumper then did either one for the top of the trousers or just joined on and added the legs in the same way as before but in a different color. You can basically just play around until you find a look you like. Then for the girls I joined on a new color to the head and did one row of the new colour then added an extra dc stitch into the next row which made it a bit wider and gave it a dress shape. Then I attached the arms in the same colour as the dress before adding the legs in a different colour. 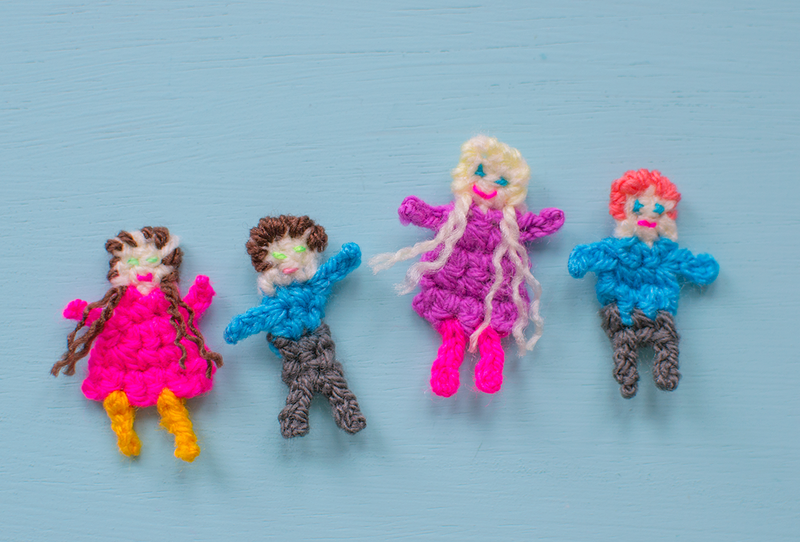 I stitched on some eyes and a mouth then threaded through some yarn for the hair. 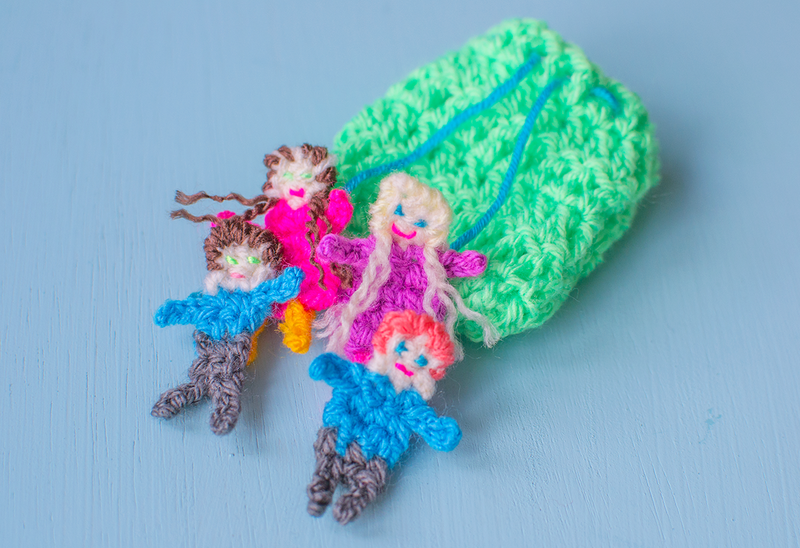 I made the bag by chain stitching enough stitches to go just over the width of the dolls then worked a treble crochet stitch (UK terms) into each chain space and made it tall enough to fit the dolls in. I repeated this twice then sewed around three of the edges before turning it inside out. 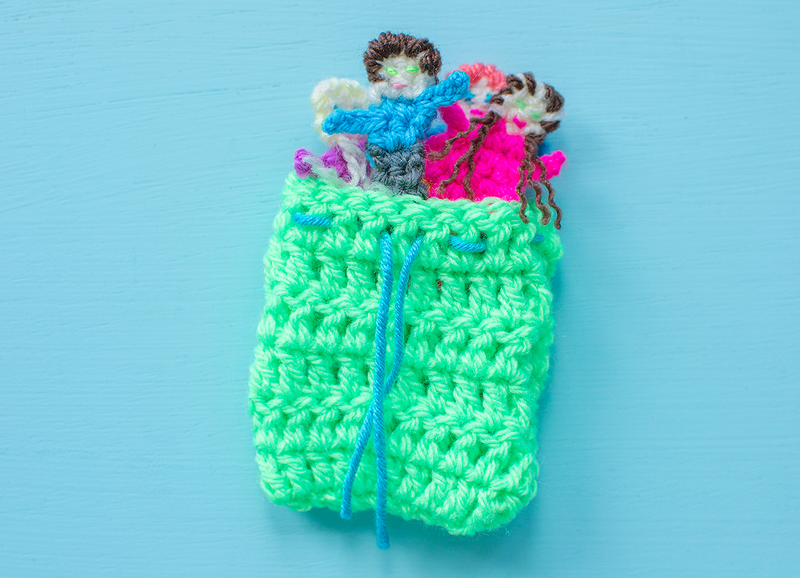 I then threaded some yarn around the top of the bag to close it and put the dolls inside. 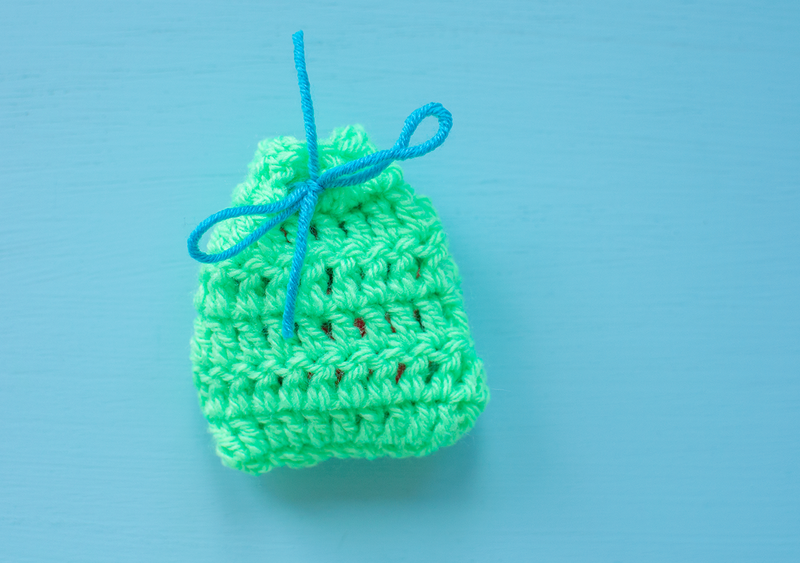 How to make a chevron crochet bag. 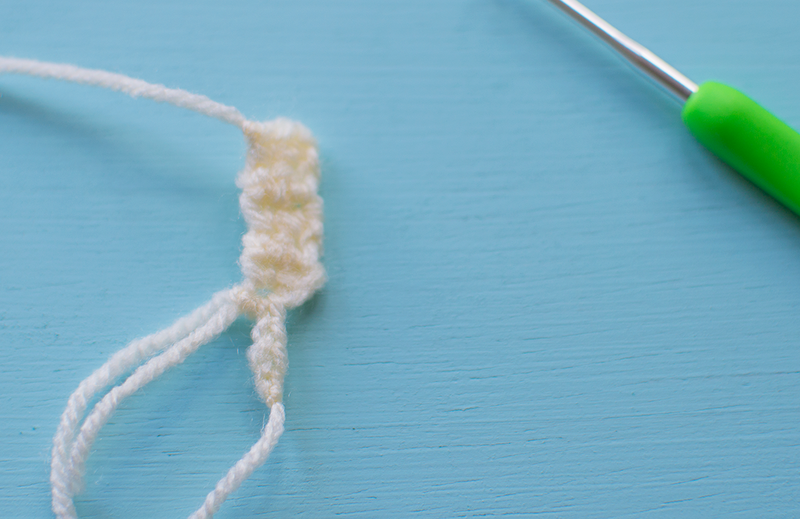 How to crochet Minion goggles. 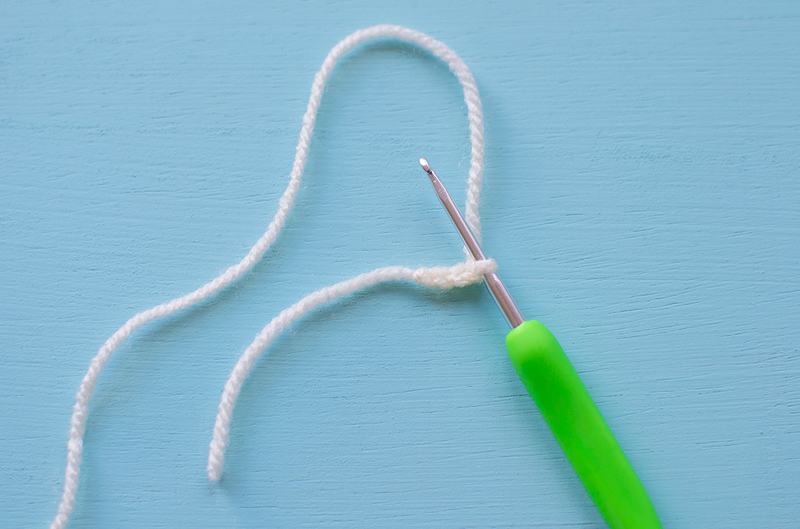 How to make crochet headbands.